I am trying to have a SQL Table widget in my Orange canvas, which is connected to SQL Server. 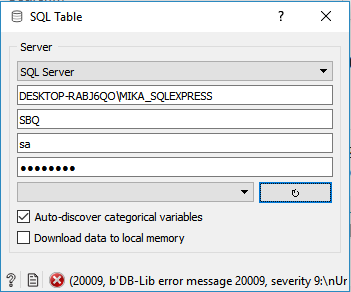 I have installed pymssql, and in the SQL Table dialog, I do get an option to connect to SQL Server. Use Feature Constructor in Orange to extract number from string? How to run Orange from the source code?